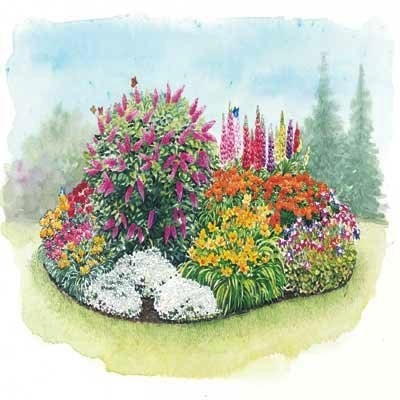 This discount butterfly garden kit is a fast and easy way to grow a butterfly garden. These butterfly garden flowers include both butterfly host plants (caterpillar food) and butterfly nectar plants. 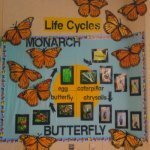 The butterfly garden plan will attract egg-laying Monarch butterflies with its Asclepias tuberosa butterfly plants which are also top nectar plants for many butterflies. The price per plant is unbelievable on this collection of cheap garden flowers for butterflies! Last year I ordered swamp milkweed plants from this company (unfortunately this plant is not available any more) to check them out. They arrived the first week of May and came as "bare root" plants (looked strange :) Two weeks after I planted them there were already several "shoots" coming out of the ground! They ship potted plants when the weather is warmer. Here are some other great deals on butterfly garden plants. 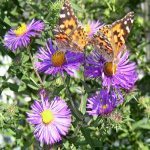 If you aren't in a hurry and have time to grow your butterfly garden flowers from seed, here are some butterfly garden seed kits. You will save money starting your plants from seed but it will take some time and patience. I am confident you will find great joy in growing these plants for butterflies and observing the beautiful butterflies that they attract. 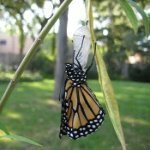 When you see the Monarch Butterfly "fluttering around" and touching down briefly on the butterfly weed plant leaves, check for eggs and I bet you will find some :) Then, you can bring the eggs inside and raise monarchs....you will be amazed!